Tell me I wasn’t dreaming! Drool-worthy in astronomic proportion, my excitement can’t be contained the moment I laid eyes on these beauties. I mean look at Palette Petrouchka ($90, limited edition, Sephora online only), from the gold packaging to its tiered presentation, holiday luxe is in the air zillas! From the words of Mrs.Claus “I chose this palette for you Kathryne because it has everything you need, five sheer iridescent eyeshadows that are perfect for the holidays: champagne, gold, copper, brown, taupe-brown; a mirror big enough for your touch-ups; and four mini-blushes to play with”. Vixen, our makeup-loving reindeer said not to throw that red ribbon away, wear it on you wrist or hair my special Guerlain-loving child”. You definitely know how to make a woman happy. I took photos right away, ultra-careful not to make the slightest dent. 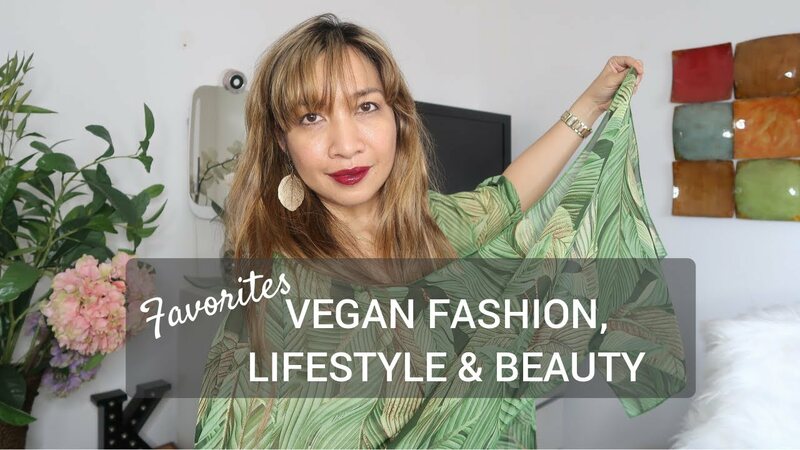 I hesitated touching it because it’s a collector’s item but I’m sure you understand that I run a beauty blog so here are my thoughts on Palette Petrouchka…. 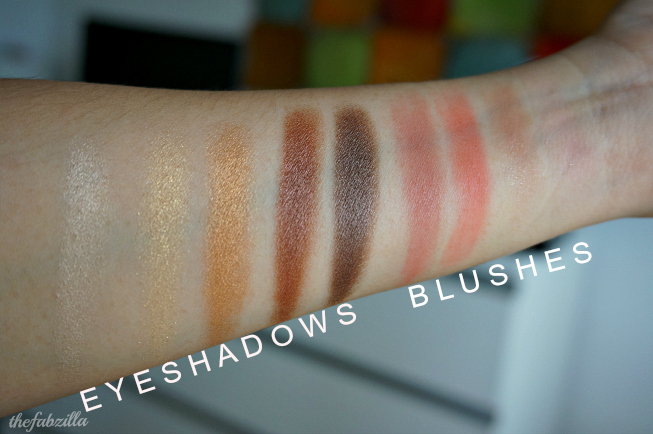 All five eyeshadows swatched beautifully as captured in the photo. Applied over an eye primer, I had no creasing problems throughout the day. They feel soft and buttery, something I expected from a designer brand. I believe women who prefer warm neutrals will like this palette more. The darker hues are my favorite (chocolate brown and taupe brown), followed by copper. Gold is quite a dud because it had fallouts despite tapping and applying it wet. The blushes are so pigmented but indeed tiny so I had to use a small or pointed brush to make it work. I tried blending all shades using a larger powder brush but I didn’t like the aftermath so I’m sticking with individual shades. 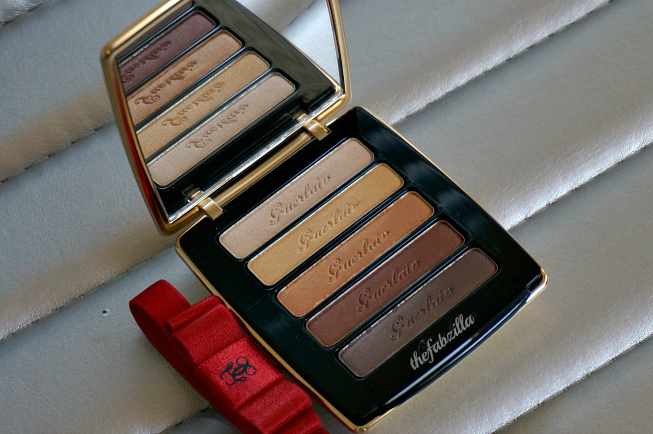 Consistent with all Guerlain products, this palette smells divine, mildly-fragrant but never migraine-inducing. Overall, the main selling point of Petrouchka is the perfectly-coordinated eyeshadows and operatic packaging, as inspired by its iconic fragrance Coquer D’Or. P.S. I’m too old for bows but tell Vixen that I did wear the red ribbon today…. Again, thank you Mrs. Cla……..
6:45am, alarm clock cuts on….. wow, that was one magical dream! Truth is, thanks to myself for gifting myself this early. Now that’s more like it, haha! 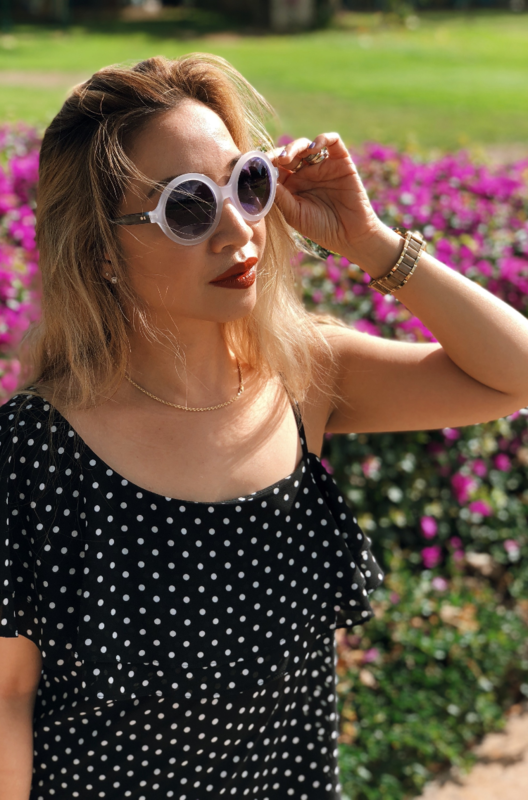 What’s the most recent gift you gifted yourself with? I know I’m not alone! 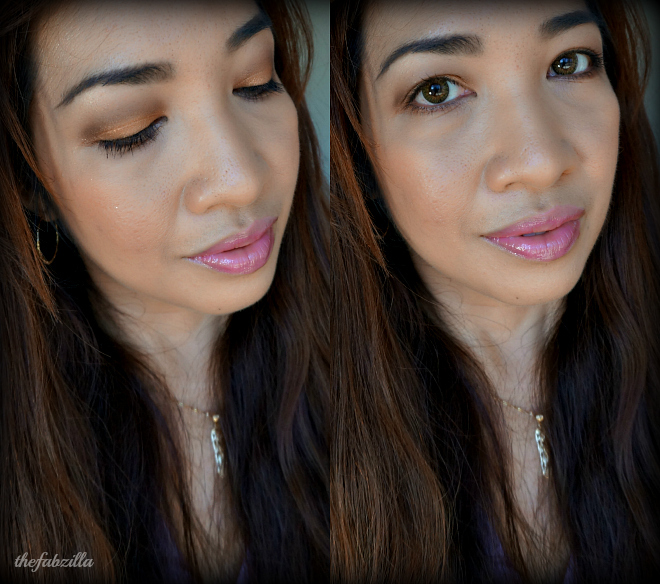 Those eye shadow colors…. wow. Gorgeous. 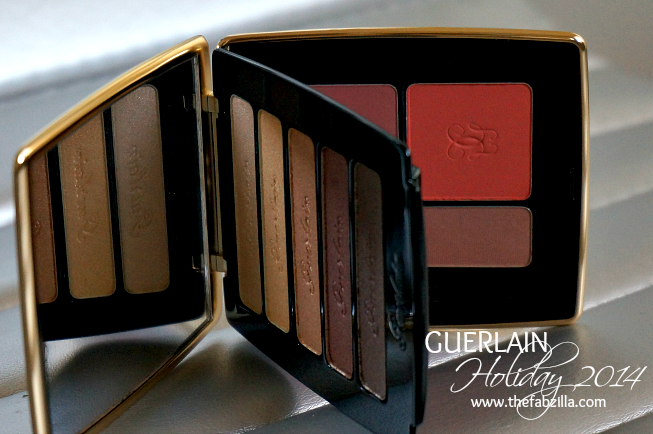 Guerlain is just always so super chic! Love this palette. I love the eye shadow palette swatches. you are SO flipping cute, I can't even deal with it. Oh my. LOVE those swatches! 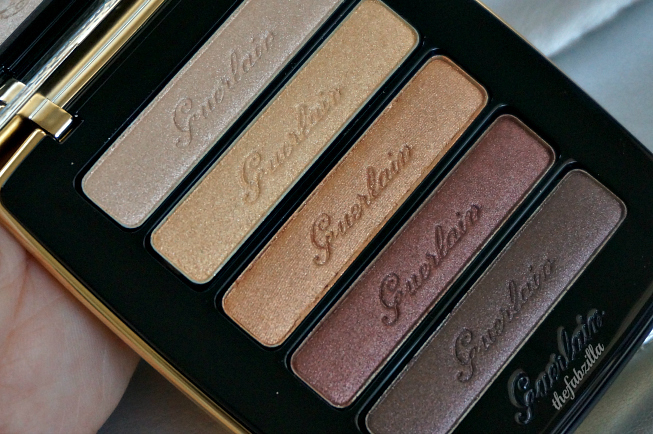 OMG, that Guerlain palette is so gorgeous! I love the shades, and the palette would be perfect for travel. I wish I could come to your house and play with or just see all your stunning makeup in person. Love it! 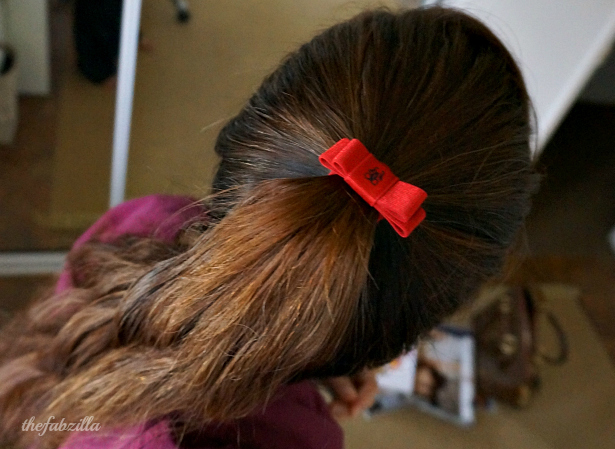 A girl ain't never too old for Guerlain bows! And wow, what a beauty this palette is <3. Happy early Christmas! 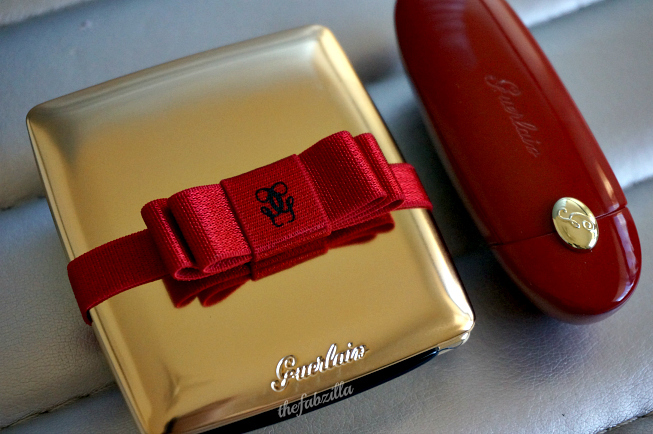 I love that Guerlain bow! Ooh these look so luxe! The entire collection is spot-on. Lovely! Oh my gawwwwd. 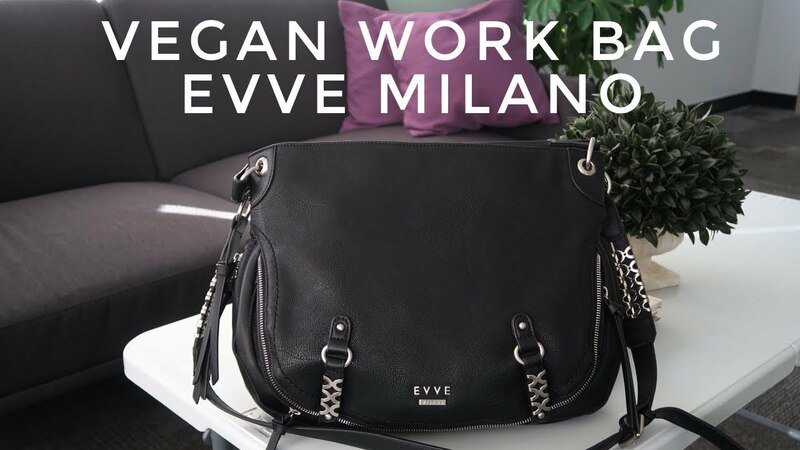 You never fail to make me lust after these luxury beauty products!! The last thing I gifted myself was a spontaneous plane ticket to Europe. Although I think buying something from Guerlain or Tom Ford would have been a lot more wallet-friendly LOL! That's one major gift Brianna! I won't Trade TF or Guerlain for that, haha! How do I get on Mrs, Claus' list? pretty! Gorgeous! And I'm also looking at that beautiful lipstick case. Your eye look is gorgeous. This palette, is gorgeous – I love it. Soooo beautiful, Kath!! 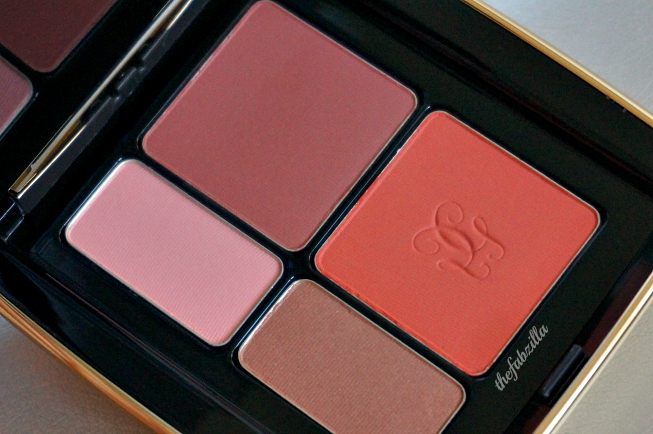 Please tell Mrs. Claus that I need a hug…or a palette! WordPress Theme Madrid by MunichParis Studio.